As Texas was settled, a dance hall was one of the first public buildings constructed in nearly every town and hamlet. 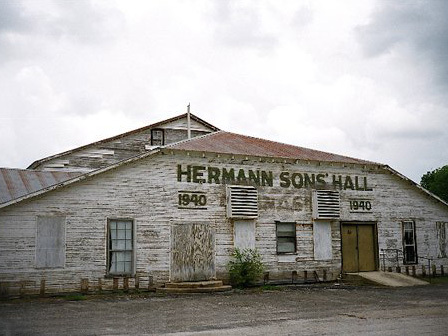 Texas dance halls have served and continue to function as meeting spaces and the sites of social events. They contribute to the development of country-western and conjunto music. They preserve the cultural traditions of many ethnic groups who immigrated to Texas and settled here. Today, as communities change and populations increase, dance halls are threatened by neglect, encroaching suburban development, and large-scale transportation projects. Population shifts from rural to urban areas, in particular by younger residents, leave behind a shrinking base of support for the halls at a local level. While many dance halls are open to the public for dancing and other events on a regular basis, many more have been dismantled, converted for use as antique shops or hay barns, or simply abandoned. The lack of public awareness is another threat to the preservation of dance halls. Many people do not realize that several hundred dance halls exist.